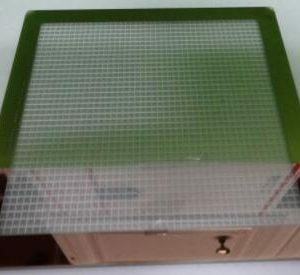 At present, gallium nitride (GaN) technology is no longer limited to power applications, and its advantages are also infiltrating into all corners of the RF/microwave industry, and the impact on the RF/microwave industry is growing, and should not be underestimated, because it can be used from space, military radar to cellular communications applications. Although GaN is often highly correlated with power amplifiers (PA), it has other use cases. Since its launch, the development of GaN has been remarkable, and with the advent of the 5G era, it may be more interesting. 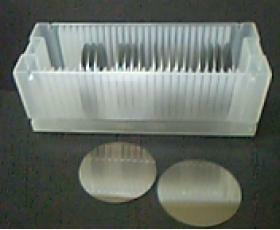 Two variants of GaN technology are GaN-on-silicon (GaN-on-Si) and GaN-on-silicon-carbide (GaN-on-SiC). According to Damian McCann, director of engineering at Microsemi’s RF/Microwave Discrete Products Division, GaN-on-SiC has contributed a great deal to space and military radar applications. Today, RF engineers are looking for new applications and solutions to take advantage of GaN-on-SiC. The ever-increasing levels of power and efficiency performance achieved by devices, especially in space and military radar applications. 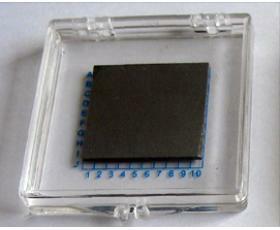 GaN is a wide bandgap semiconductor material with high hardness, mechanical stability, heat capacity, very low sensitivity to thermal radiation and thermal conductivity, and a better design for better size, weight and power (SWaP) Advantages. We also see GaN-on-SiC surpassing many competing technologies, even at lower frequencies. System designers will benefit from GaN-on-SiC technology. PAM-XIAMEN Doctor Victor explained that thermally coupled and highly integrated laminate technology, in combination with GaN-on-SiC, allows system designers to seek a higher level of integration, especially to extend the main radar to cover more of the same physical area. In the band, the second-order radar function is added. In space applications, the feasibility of GaN-on-SiC has recently been increasing, especially in applications where the efficiency of GaN is complementary to the ability to operate at higher frequencies. The power density of millimeter wave (mmWave) GaN brings a new set of design techniques that can be used to find higher levels of compensation. The solution must go beyond power and linearity in power compensation, and also need power control. Or run to a variable VSWR level. He also pointed out that GaN-on-SiC technology can replace the old klystron technology. The popularity of active electronically scanned arrays (AESAs) and phased array components in military and commercial space applications is also expected to reach new levels of power, even for GaN-on-SiC based monolithic microwave integrated circuits (MMICs), he said. In some cases replace the aging klystron technology. 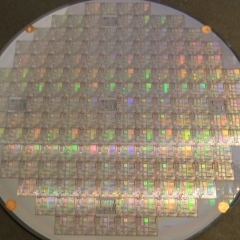 However, the limited number of qualified 0.15 micron GaN-on-SiC wafer foundries is a scarce resource on the market and needs further investment. GaN technology is not limited to space and radar applications. It is driving innovation in the field of cellular communications. What role does GaN play in the future 5G network? Metal Organic Chemical Vapor Deposition (MOCVD) Product Director said that the booming 5G is expected to disrupt traditional cellular communications and create new opportunities for operators and service providers. 5G is currently being planned, with mobile broadband (mobile/tablet/laptop) transmitting at speeds in excess of 10 Gbps, while at the same time, Internet of Things (IoT) applications can achieve ultra-low latency. GaN is gradually replacing silicon (Si) in specific applications (ie RF amplifiers for 4G / LTE base stations). Next-generation 5G deployments will use GaN technology, and in the early days of 5G, GaN-on-SiC will increasingly be used in macrocellular networks. 5G will introduce GaN-on-Si to compete with GaN-on-SiC designs and enter small cell applications, which may then enter femtocell/home routers and even cell phones. GaN technology will be critical in terms of the higher frequencies used by 5G networks. The 5G will be deployed in multiple frequency bands and has two main frequency ranges, sub-6-GHz for wide area coverage and 20 GHz (mmWave) or higher for high density areas such as stadiums and airports. To meet the stringent 5G technology (faster data rates, low latency, large scale broadband) requirements, new GaN technologies are needed to achieve higher target frequencies (ie, the 28 GHz and 39 GHz bands). 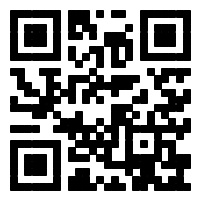 In addition, GaN technology will be very suitable for 5G mobile phones. From a technical point of view, 5G has a problem of attenuation, requiring multiple antennas to use spatial multiplexing techniques to improve signal quality. A dedicated RF front-end chipset is required for each antenna. Compared to gallium arsenide (GaAs) and Si, GaN has fewer antennas at the same power level. The resulting form factor advantage makes GaN ideal for 5G mobile applications. PAM-XIAMEN is working with leading equipment companies and research institutes to develop GaN-on-Si. 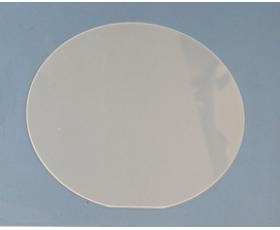 First, an epitaxial layer of uniform thickness and uniform structural composition must be deposited over the entire wafer, which typically includes a superlattice. Customers also require precise interface control using a sharp interface to optimize device characteristics. It is also desirable to have zero memory defects to effectively incorporate dopants such as Mg and Fe in a particular layer. In response to these needs, a single-wafer TurboDisc technology addresses the challenges of transistor performance, RF loss, harmonic distortion, and device reliability, providing leading dopant control and compositional uniformity while reducing Epitaxial growth cost per wafer. This is achieved by utilizing the thin film deposition control of the Propel MOCVD system to achieve high quality buffer growth and its ability to incorporate such dopants. As related tools and processes still need to mature to increase production capacity, the market size of GaN-on-Si and GaN-on-SiC is small and the challenges remain. However, with the process and technology improvement of 5G applications, the use cases continue. The surge has a huge potential for development. In RF/microwave applications, GaN technology is often associated with power amplifiers. PAM-XIAMEN is demonstrating that GaN does have other use cases by developing a low noise amplifier (LNA) based on GaN technology. We are often asked: GaAs pHEMT LNA technology is very mature and widely used. Why develop a series of GaN HEMT LNAs at microwave frequency? The reason is simple: GaN offers more than just low noise. First, GaN has higher input power survivability and can greatly reduce or eliminate front-end limiters typically associated with GaAs pHEMT LNAs. By eliminating the limiter, GaN can also recover the losses of this circuit, further reducing the noise figure. Second, the GaN LNA has a higher output third-order intercept point (IP3) than the GaAs pHEMT, which improves the linearity and sensitivity of the receiver. One of the main reasons for GaN to have this advantage over GaAs processes is its inherently high breakdown voltage. When the LNA is overloaded, gate-drain breakdown can cause failure. Typical breakdown voltages for GaAs pHEMT devices range from 5 to 15 V, severely limiting the maximum RF input power that these LNAs can withstand, while the GaN process’s breakdown voltage range can be extended to 50 to 100V, allowing for higher input power levels. . In addition, a higher breakdown voltage allows the GaN device to be biased at higher operating voltages, which translates directly into higher linearity. We have learned how to maximize the benefits of GaN and create advanced LNAs with the lowest noise figure and high linearity and high survivability. Therefore, GaN is the preferred LNA technology for all high performance receiver systems, especially when the immunity requirements are extremely high. All in all, GaN technology has become a major force in the RF/microwave industry. In the future, as the 5G communication matures, its role will further expand. Although GaN and PA go hand in hand, one should not lose sight of the industry’s work to develop LNAs using this technology. Now is the time to invest energy and resources in the development of GaN, because its future is very bright. 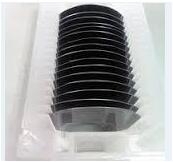 Found in 1990, Xiamen Powerway Advanced Material Co., Ltd (PAM-XIAMEN), a leading manufacturer of VCSEL epitaxial wafers in China, its business involves GaN material covering GaN substrate, GaN epitaxial wafer.